Tuesday 3 April - Some photos from Leighton Buzzard station, including a Class 319 working. Tuesday 17 April - A visit to Bletchley to see the Flying Scotsman pass through. Saturday 21 April - Photos from a trip to the Scottish border visiting Carlisle, Dumfries and Haltwhistle. Thursday 26 April - An evening trip into London. 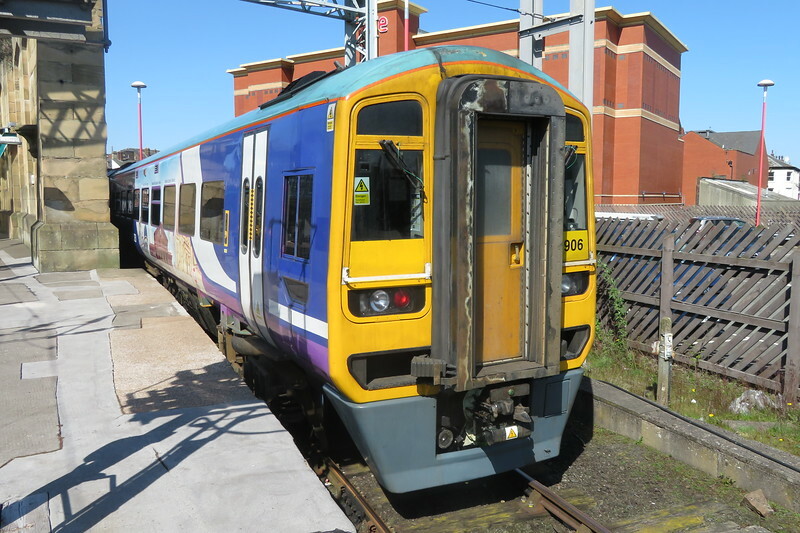 Northern Class 158 Express Sprinter no. 158906 at Carlisle, 21.04.2018.